There are not enough Hausa language books for children available online. 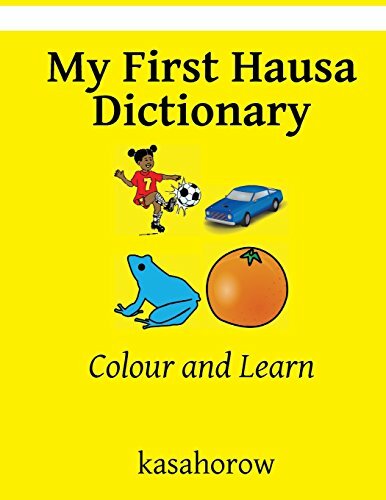 My First Hausa Dictionary is a picture book for introducing your multilingual child to Hausa and English. It has over 50 every day objects to point at and share with your baby. Daddy can teach in Hausa and Mummy in English. Read aloud and get them used to your pronunciation. Each every day object is also illustrated to help make the connection with the real world. A perfect gift to get children off to a great start in life by learning two languages at the same time: Hausa and English. Suitable for multilingual children 0 to 7 years old. INSTRUCTIONS FOR USE Keep WITHIN REACH of children.